Book Review: “Packer on the Christian Life” by Sam Storms | J.W. Wartick -"Always Have a Reason"
Packer on the Christian Life by Sam Storms summarizes much of J.I. Packer’s thoughts that answer the question “How now shall we live?” I’ve enjoyed Storms’ works before and have been curious to learn more about Packer, so I was looking forward to this read. The book starts with some brief biographical information on Packer. Then, we are quickly thrust into core aspects of his theological framework. 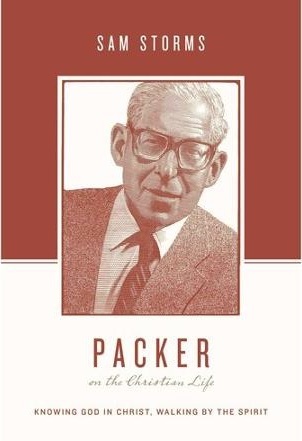 In particular, Packer emphasized the atonement as central to any Christian understanding of life or doctrine. The Bible is seen as the authority for the Christian life. These early chapters are used to set the stage for a more holistic approach found afterwards. Packer’s stance is heavily influenced by Puritanism. The Puritans have suffered from a bit of a bad reputation, and some of it has been deserved. However, the insights the Puritans gave into living purely (sorry) are worth reading about, and Packer’s view of the Christian life highlights them throughout. The battle against indwelling sin, the definitions and search for holiness, and the like; all are colored with Puritan lenses, and this provides a different approach than some of the other books in the series. After the holistic approach found in the middle section of the book, individual topics are addressed. These include the work of the Holy Spirit, prayer, discerning God’s will, and enduring suffering. The chapters on prayer and enduring suffering are particularly edifying. Packer offers biblical answers to perceived unanswered prayers as well as insight into how to pray and why and when (always). His approach to enduring suffering leans heavily towards a Calvinistic response, and Storms presents it in a pastoral, applicable manner. Storms admirably handles Packer’s view on spiritual gifts. Packer is a cessationist but seems to have a rather moderating position, whereas Storms has been an outspoken continuationist. He fairly presents Packer’s view on the topic of miraculous gifts without criticism–an appropriate stance given the purpose of the book. Packer on the Christian Life is another good entry into the “Theologians on the Christian Life” series. I enjoyed it quite a bit, though I think the entries on Luther and John Newton were slightly better. It comes recommended. Disclaimer: I received a review copy of this book from the publisher. I was not required to provide any specific kind of feedback whatsoever. Sam Storms, Packer on the Christian Life (Wheaton, IL: Crossway, 2015). Another enjoyable review! Thanks J.W.! Packer was rigidly opposed to egalitarianism – does this come up in the book? It does not come up anywhere–and I would have been very aware of it if it did. I guess it is possible that I missed it but I double-checked the index and didn’t find any reference. A search of the book only turned up four references to women, in context of “men and women” in spiritual growth and the like.